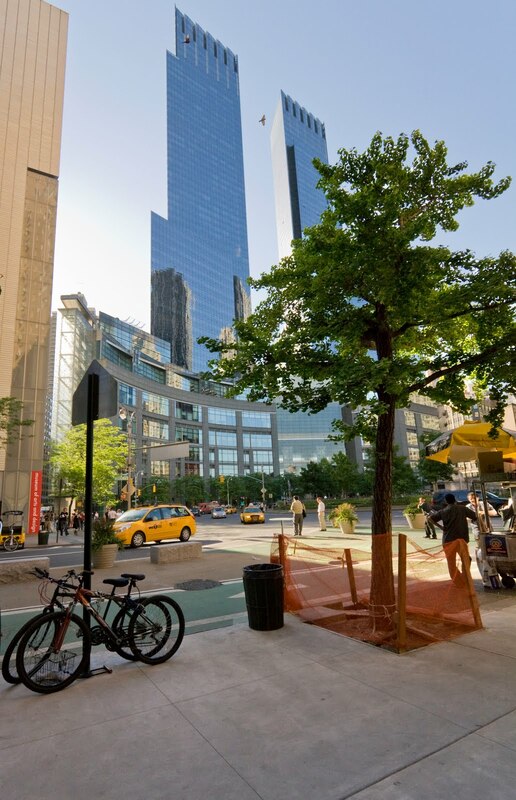 Here's the Time Warner Building seen in its entirety for the first time in this blog. It has appeared in previous posts in supporting roles. I love this photo for its look of unreality. I feel like I'm a player on the board game, Candyland. Notice the two-dimensionality of the left tower. You may want to check the previous posts to reassure yourself that it is indeed a real tower.